Charles Williams’s “Better Informed.” An Unforgettable Immersion into Prison Life. Subjected to the lurid underworld of prison life with its surprising alliances, unthinkable betrayals, and continual risks, life behind bars is unimaginable. But if you’re there, you need hope, strength, and community to survive. This book is an eye-opening revelation, a consolation in the worst of times, and a message of hope for those who are walking this path. 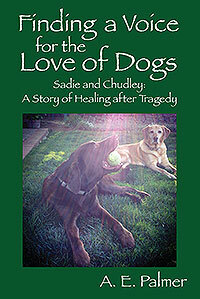 A. E. Palmer’s “Finding a Voice for the Love of Dogs.” After losing her beloved dogs in a tragic car accident, the author shares how from great loss can come amazing love. Writing for their voice, in their honor, the author hopes to give all animals a voice and start a change in animal laws to provide them with more respect and support. 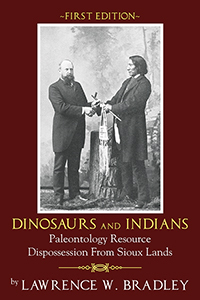 Lawrence W. Bradley’s “Dinosaurs And Indians: Paleontology Resource Dispossession From Sioux Lands.” Raised by an Oglala Lakota stepfather, the author brings his story to life from a Native point of view regarding the illegal trespassing of paleontologists while exploring and collecting fossils on Indian lands. These exploits helped to build the foundation for the Peabody Museum of Yale University. 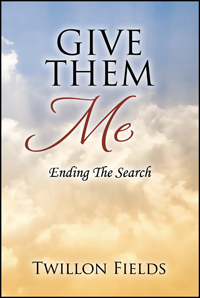 Twillon Fields’s “Give Them Me: Ending The Search.” The objective of this book of poetry is to bring people to a place whereby they view God as being more than just a judge. God desires to have a relationship with the human race, but in order to build a relationship, there needs to be trust, respect and dedication. You will only begin to experience the fullness of God when you study His word and make His life the life that you live. 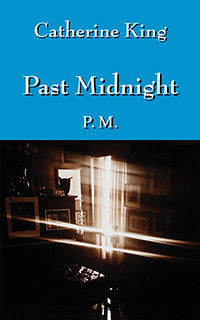 Catherine King’s “Past Midnight” speaks to those who have lost hope because of the death of a loved one, particularly death due to alcohol. Alcohol is one of our country’s biggest killers. It can cause uncontrollable grief and despair. Families can rise from their ruin and put their lives back together. 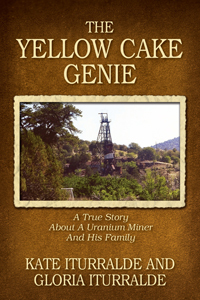 This book is a tribute to a loving God who carries our burdens and allows the return of peace. Readers can rebuild their own hope, piece by piece, to arrive at forgiveness by God’s grace. Courtney Miller’s “Growing Up Too Fast, Dying Too Young” chronicles his life as a latchkey kid and shares the pain of his brothers’ fatal love affair with drugs. With his family torn apart by heroin, Courtney resisted and survived by choosing a different path and discovers hope and purpose in Jehovah. 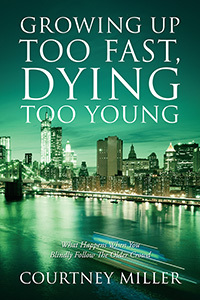 His memoir offers a raw and honest look at children who grow up too fast…and die far too young.